Last Saturday we kicked off the summer with our fifth annual Multicultural Festival, hosted each year on NHS' campus with the aim of celebrating the rich cultural diversity and history of our community. Through focusing on family, food, and fitness, this year we highlighted the importance of staying active, eating a balanced diet, and leading a healthy lifestyle. We were really thrilled with how many local families and guests were able to join us for the beautiful day of fun in the sun! Elsie Encarnacion from State Farm presented our HomeOwnership Center with a $7,500 grant award for its Homeownership Promotion and Preservation services. State Farm makes it possible for us to help more and more families buy – and keep – the home of their dreams. Thank you to State Farm, all of our sponsors, and everyone who helped make this event great! We look forward to celebrating again next year! Tuesday night, NHS hosted our fifth and final class of our 2014 Resident Leadership Program, “Leading Great Meetings,” which was facilitated by Sarah Parmenter, Senior Specialist, Community Building Program at NeighborWorks America®. Sarah began the meeting by asking for the group to set some “agreements” for how the meeting should go. Class participants offered up many good agreements that were accepted by the rest of the group in order to show respect for one and another. Once agreements were set, participants were asked to share, in one word or a short phrase, what their “leadership style” was. Multiple participants agreed on “inspiring” and “inspiration,” while others offered up answers ranging from “example,” “dedication,” “sharing,” and “in the background,” showing that leadership styles are diverse, and not any one is more correct than another. The class then divided into groups of three to reflect on past meetings they’ve led or been a part of. The purpose of the discussion was to come up with a list of traits of both great and poor meetings. Groups then shared what they had discussed, many agreeing on various traits. Sarah then pulled the two lists together by talking about how to fix the traits of poor meetings by utilizing traits of good meetings. The next activity that the group participated in was to divide into three different groups, based on three of the campaigns brought up during last week’s class, “Planning Successful Campaigns.” Tying the two classes together, Sarah asked the groups to plan how a successful meeting for the campaign would go, giving the group a chance to display their delegation and organizationskills. The class concluded with thank yous to facilitators and the handing out of NeighborWorks® certificates to program participants. We are so grateful to Sarah for joining us from the Boston NeighborWorks® office, and to all of the participants and facilitators of this year’s Resident Leadership Program. We look forward to continuing to work with these new Resident Leaders on the campaigns and projects they would like to see in their communities, and hope to see a few of them join us for the 2014 NeighborWorks® Community Leadership Institute! Earlier this week, we hosted a sip-and-see wine-tasting event at our LEED Platinum Certified Home Improvement and Energy Conservation Lab. Guests were able to enjoy wine provided by The Wine Thief, snacks, and tours of the lab. They were also able to meet our new Director of Resource Development, Jill Annitto, who joined the NHS team in March. It was a lovely evening, with music provided by Department of Jazz. Thanks to everyone who joined us for the event - we feel fortunate to have such wonderful friends and supporters! Our bookkeeper, Becky Skau, joins us in officially welcoming our new Director of Resource Development, Jill Annitto! Some of our friends from Wells Fargo enjoy wine and conversation. Current and former AmeriCorps VISTAs hang out in the roof garden on our campus. Department of Jazz provides us with some beautiful music. Rita, our administrative assistant, enjoys the music from the roof. Guests enjoy the Lab and drinks from the Wine Thief. Welcome to the NHS family, Jill! Interested in learning more about The Lab? For the next thirty-odd hours, people all across the country will be joining a nationwide give-a-thon called Give Local America Day. The goal of the giving day is to celebrate the impact of nonprofit organizations on their local communities. The day also highlights the fact that residents can easily support their local communities and economies by supporting their local nonprofits. Donate during The Great Give today, and you'll join nationwide support of the nonprofit community. We hope you'll consider donating to NHS during The Great Give. Here are just a few of the projects we've been working on lately as we help to turn houses into homes, and neighborhoods into communities. 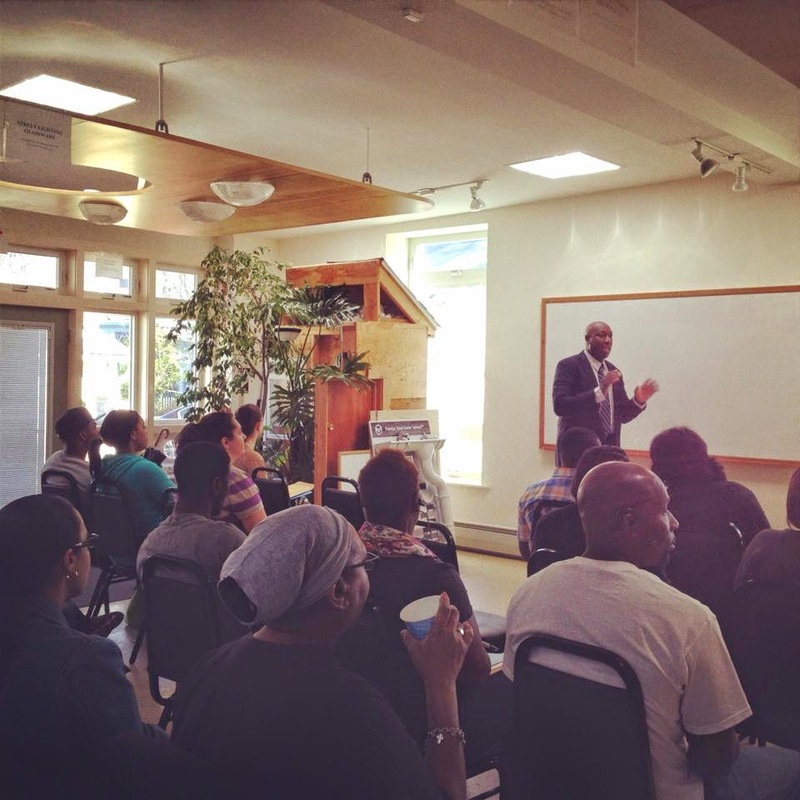 A huge turnout for one of our first-time homebuyer workshops. 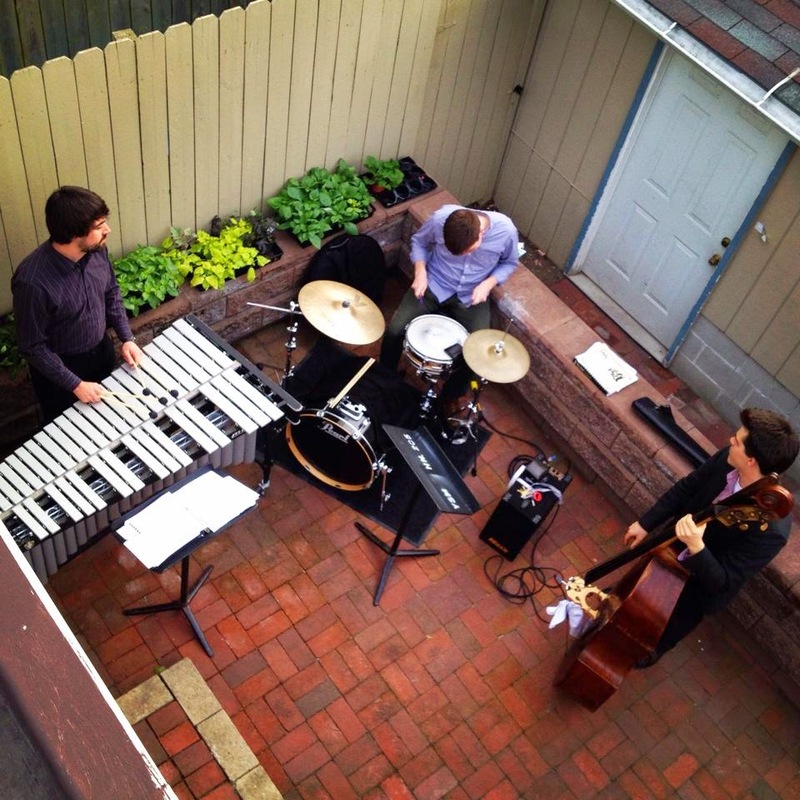 Department of Jazz, a local jazz trio, performed at our spring wine-tasting event. 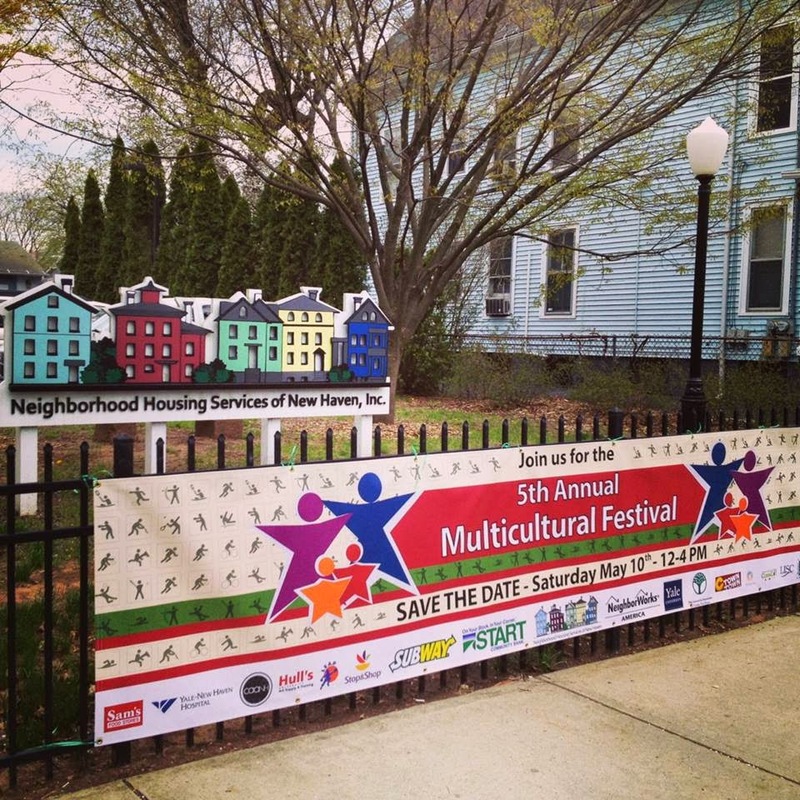 Our fifth annual Multicultural Festival is this Saturday, May 10, and it promises fun for the entire family. Lee Cruz, community activist and Outreach Coordinator for the Community Foundation for Greater New Haven, speaks at one of our Resident Leadership Program workshops. Celebrating the Open House for 32 Lilac Street, a newly constructed, Energy Star-certified home for sale in the Newhallville neighborhood. Neighbors, students, and potential homebuyers turned out for the event, which coincided with a neighborhood block party and student art show. There's no better time to donate to NHS in support of our projects than during the 36 hours of The Great Give! Earlier this week we hosted our fourth of five classes in our Resident Leadership Program, “Planning Successful Campaigns”. 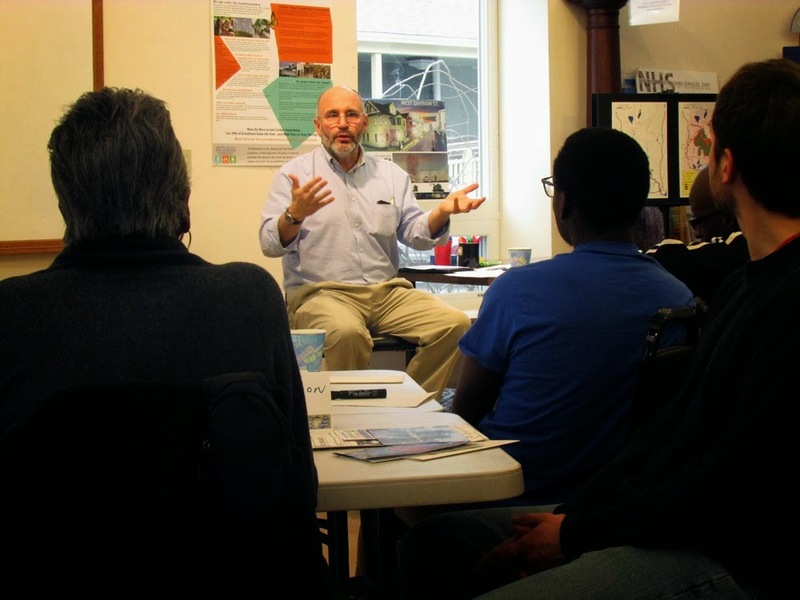 Our executive director, Jim Paley, facilitated the class after being introduced by Stephen Cremin-Endes, our Community Building Specialist. Jim opened the class by asking participants to share, in one word only, what they believe to be a “key ingredient” in a successful campaign. Answers were written on the board behind him and ranged from connections to money, from influence to volunteers, and so on. Jim then shared that he believes the number one necessary ingredient in a campaign is “passion” because through passion all other ingredients are possible. A powerpoint presentation documenting the history of Neighborhood Housing Services followed. Jim discussed all of the elements of a campaign, such as goals, reasonable timeframes, knowing who is a stakeholder, and knowing how to measure your campaign’s success through its outcomes, using NHS of New Haven as his example. A montage of before and after photos of homes that NHS has rehabbed provided participants with imagery to further contextualize NHS’s campaign to revitalize neighborhoods in New Haven. The group was then charged with completing an activity regarding campaigns that they would like to start in their communities, including goals such as raising funds, trash removal, and inspiring young women. It was a great class and we are very much excited for the next and final class, “Leading Great Meetings,” facilitated by Sarah Parmenter, Senior Specialist, Community Building Program at NeighborWorks America.